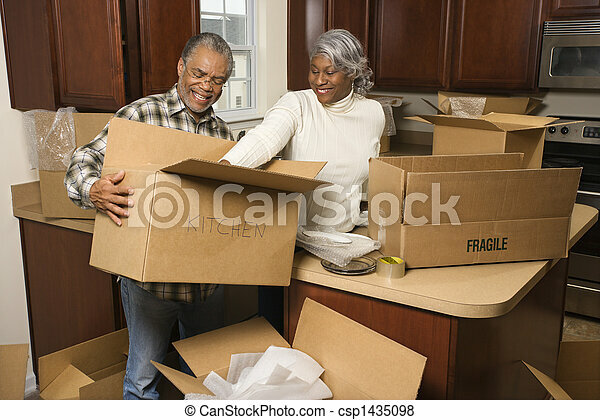 Couple packing boxes. 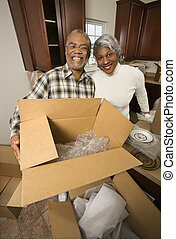 Middle-aged african-american couple packing moving boxes in kitchen. The young happy couple packing boxes. Moving, purchase of new habitation. 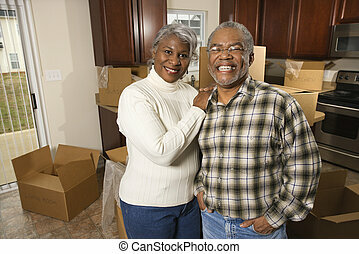 Portrait of middle-aged African-American couple packing moving boxes in kitchen. 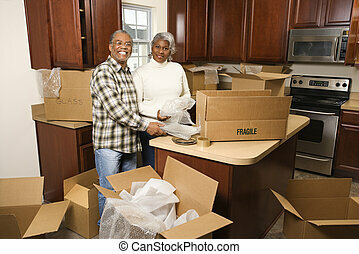 Portrait of middle-aged African-American couple in kitchen with moving boxes. 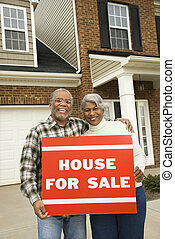 Portrait of middle-aged African-American couple outside house with for sale sign. 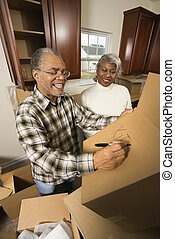 Middle-aged African-American male labeling moving box with wife in background. 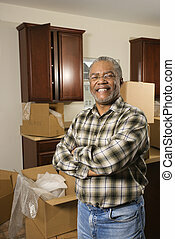 Portrait of middle-aged African-American male in kitchen with moving boxes. 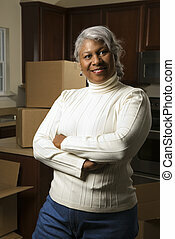 Portrait of middle-aged African-American female in kitchen with moving boxes. 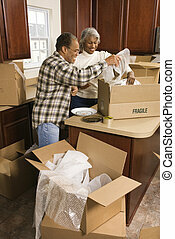 Middle-aged couple sitting on floor among cardboard moving boxes drinking coffee. 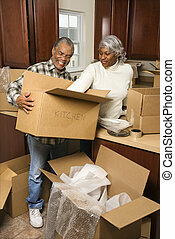 African American woman placing boxes on large stack man is holding. 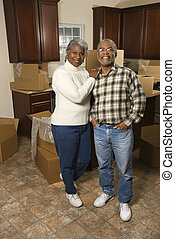 African American male and female couple sitting on floor next to moving boxes. 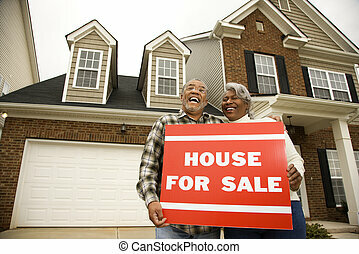 African American male and female couple sitting on floor next to moving boxes relaxing. 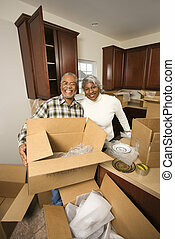 Portrait of smiling happy young couple sitting on floor of home with moving boxes.